Enjoy Utah! : WINNER: Last Pair Of Circus Tickets! WINNER: Last Pair Of Circus Tickets! She is our last winner of a family four-pack of tickets to the Ringling Bros. and Barnum & Bailey Circus! Our fourth contest was a scavenger hunt. You had to visit many places that we posted about on our blog. Laural was, by a landslide, our winner! Not only has she recently visited places we blogged about, but she's been doing it all Summer long as well! CONGRATULATIONS LAURAL, and enjoy the Circus! 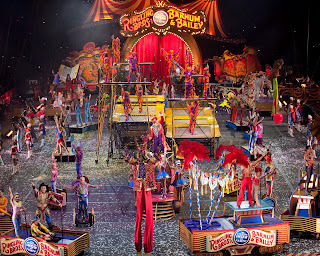 Remember, you can still buy discount tickets to the circus! Make sure to enter codeword BLOG when you purchase your tickets to get a discount!